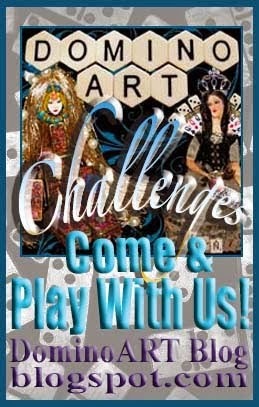 To take our Challenge...visit Blockheads' Chalk AttractionTechnique page to see my tutorial on how to do this Technique with step-by-step instructions and photos! 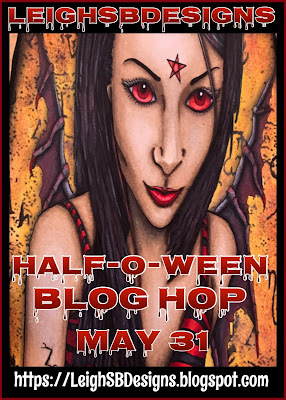 Then create your own Chalk Attraction creation, create a blog post that includes the link code, which creates links to other participants in the blog hop, then submit your URL via the inlinkz button. Links will be removed that don't include the code. 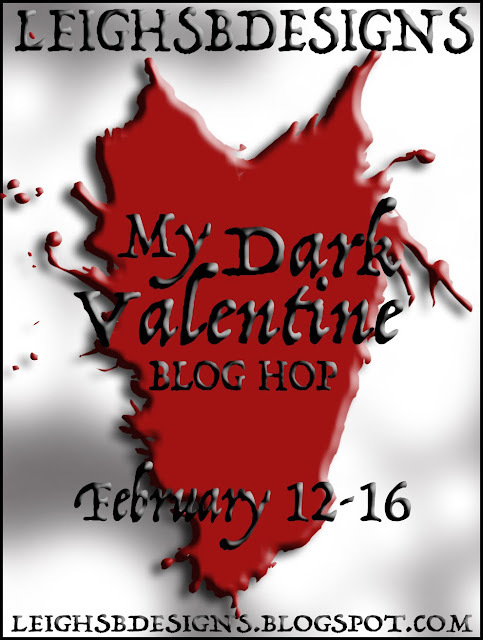 Join the Blog Hop by February 21st for a chance to win a $25 gift certificate. 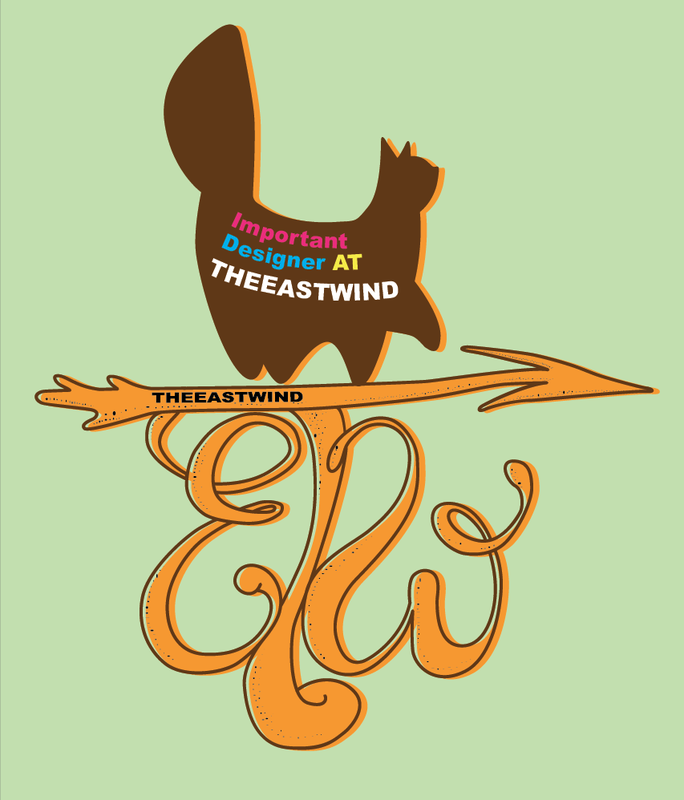 The winner is selected by me and my fellow design team mates. 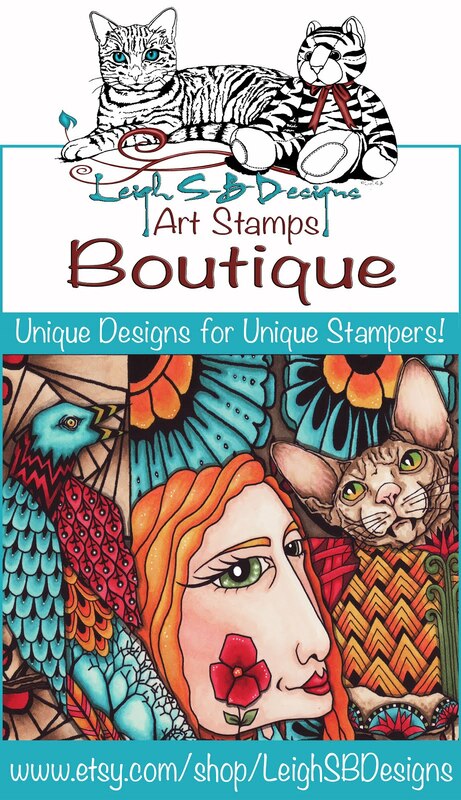 You can use any stamps for this challenge - you are not limited to Blockheads stamps, but we always appreciate seeing great art using our stamps! 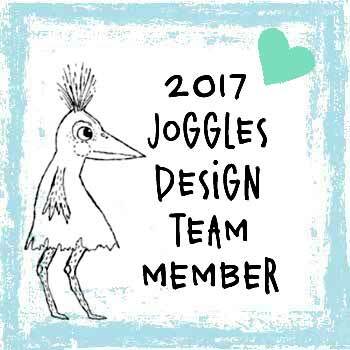 A summary of the Challenge info including the html code you need to use can be found at the end of this post or here! Stamp up a background design directly onto the front of a folded card made from white cardstock with Versmark Watermark ink. 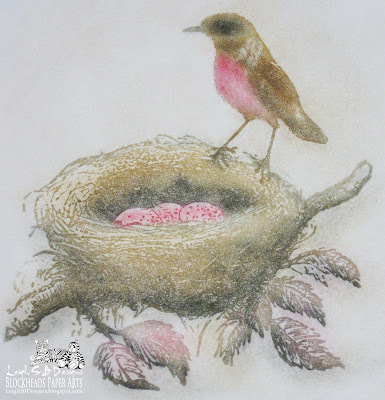 Apply 3 shades of brown chalk and touches of black chalk randomly to the eggs with a sponge Dauber. Then edge the card front with red chalk. 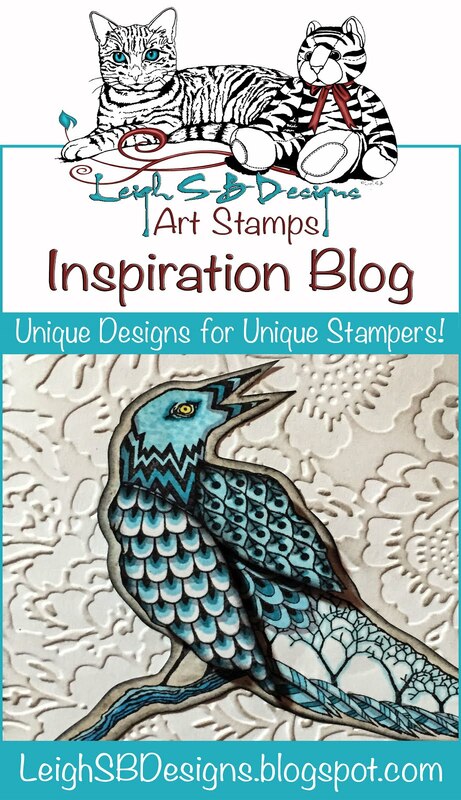 Colouring an entire stamped design is just as easy and even more fun! The full details with photos for how I went about colouring this image can be found in my Technique tutorial over on the Blockheads' Chalk Attraction Technique page! 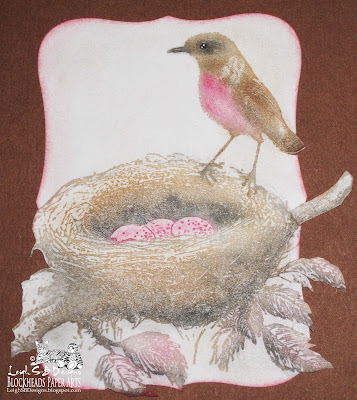 Finish off the bird image by making the bird's eye stand out against the chalk. 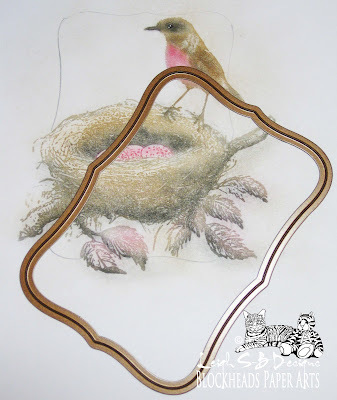 Add detail with a black ultra fine Sharpie marker and highlights with a white gel pen. Here's a tip on correcting mistakes! 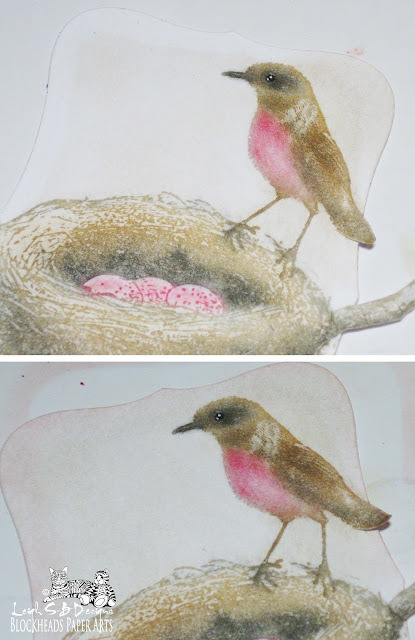 I also coloured the second bird image for my card and I demonstrated how easy it is to remove chalk in the photos below. 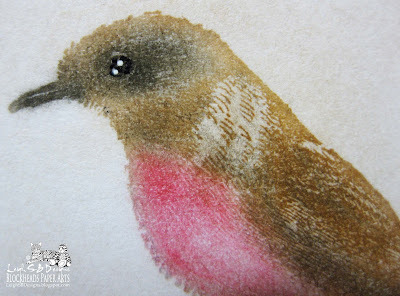 I applied too much black chalk on the beak area and I just used a Chalk-A-Way Eraser to remove it. The eraser obviously also removed a lot of the chalk that built up while colouring the image and left a white patch. 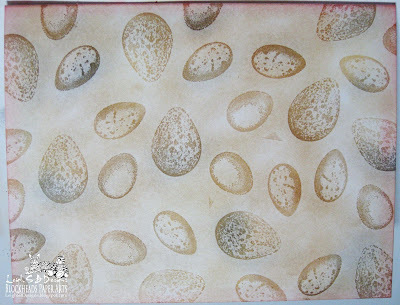 Just go over the area again with a light dusting of the same colours used in the image with a Dauber chalk applicator. Back to the main image! 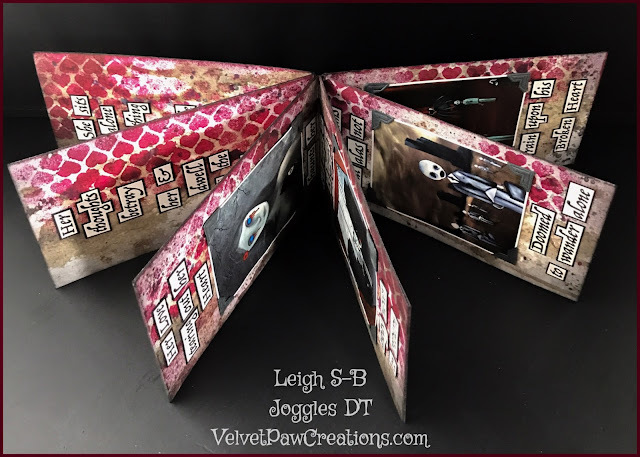 I had so much fun with Blockheads' last Technique Challenge called Out of the Box Die Cutting that I decided to use it here too! For more info on that technique and to see the card I made go here! 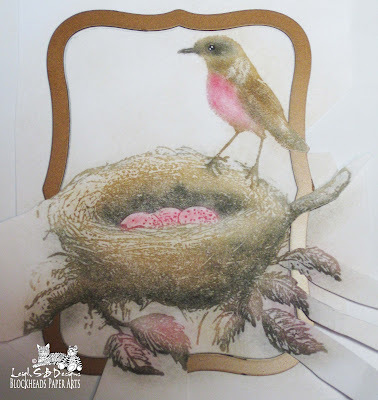 I used a Spellbinders Label 8 die and traced the interior shape onto my chalked image with a pencil. I cut the areas that I didn't want to be cut off by the die and made sure they were all positioned on top of the metal die when I ran it through my machine. I had to rub away my pencil marks coz I made them darker than needed so you could see them in my photo. I just re-coloured the white areas again like I explained for fixing mistakes. 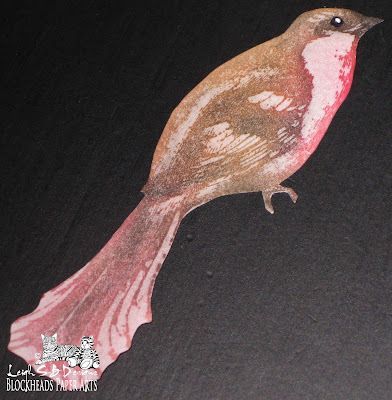 I finished off by edging the die cut with red chalk. 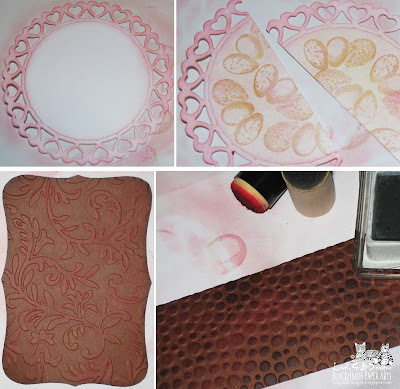 I prepared the various elements for my card as I describe in my Challenge tutorial here. Before adhering everything with double sided tape I used the same Spellbinders 8 die as a template and drew in the stitch line around the top portion with a brown ultra fine Sharpie marker. I stamped my sentiment onto a piece of white cardstock with Memento Rich Cocoa and Rhubarb Stalk ink. I performed a neat little trick with a stamp positioner and some sticky tape to make the word 'Let'! I took the 'T and 'e' from the word 'Take' and the 't' from the word 'Flight' to form the word - the 'T' does look like an 'L' don't you think. 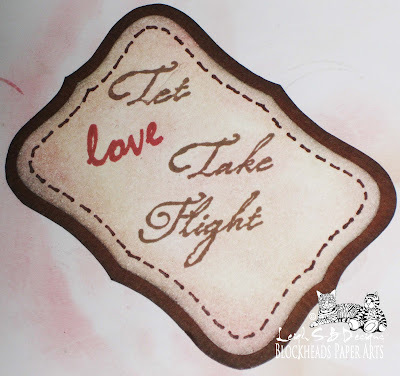 The words 'Take Flight' are from the Whimsical Faerie Wings stamp set and I also used the small 'Love' from the Verses Full Sheet. 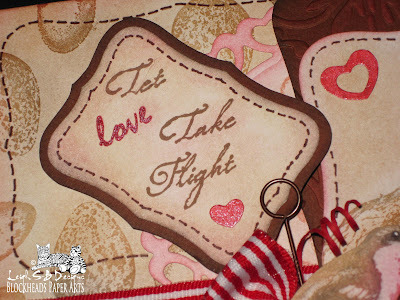 I used a smaller Label 8 die and cut out the tag and coloured it with chalks to match the card. 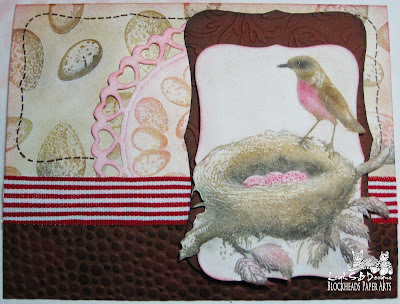 I also added the brown stitch line and cut a matching mat from Russet brown cardstock. 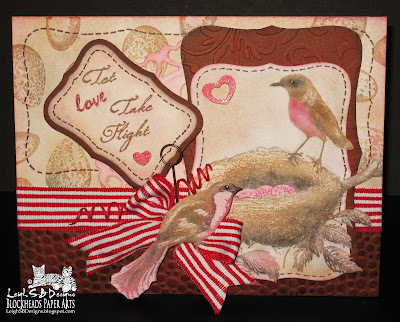 I embellished the word 'love' with a red glitter pen and also added red glitter to one of the heart pieces that came out of the Spellbinders Circle Hearts die and one of the hearts from the border too and adhered them to the tag and to the main image. 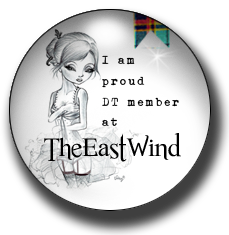 I completed my card with a ribbon bow and pinned the tag to the bow with a Tim Holtz mini pin, but I also added a pop dot to the back of the tag just to make sure it stayed put. 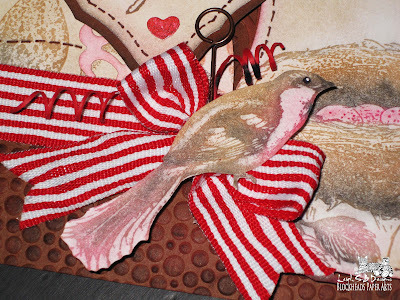 Adhere the cut out bird to the center of the bow with a glue dot and add some thin strips of curled red cardstock. 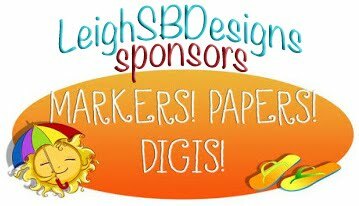 I have a hard time throwing anything away and I know you all do too ;0) Well I like to keep some of the very thin strips from cutting cardstock on a paper trimmer. To make the curls I just tightly wrapped the strips around my metal awl but you can use a toothpick or even a pencil to get larger curls too! 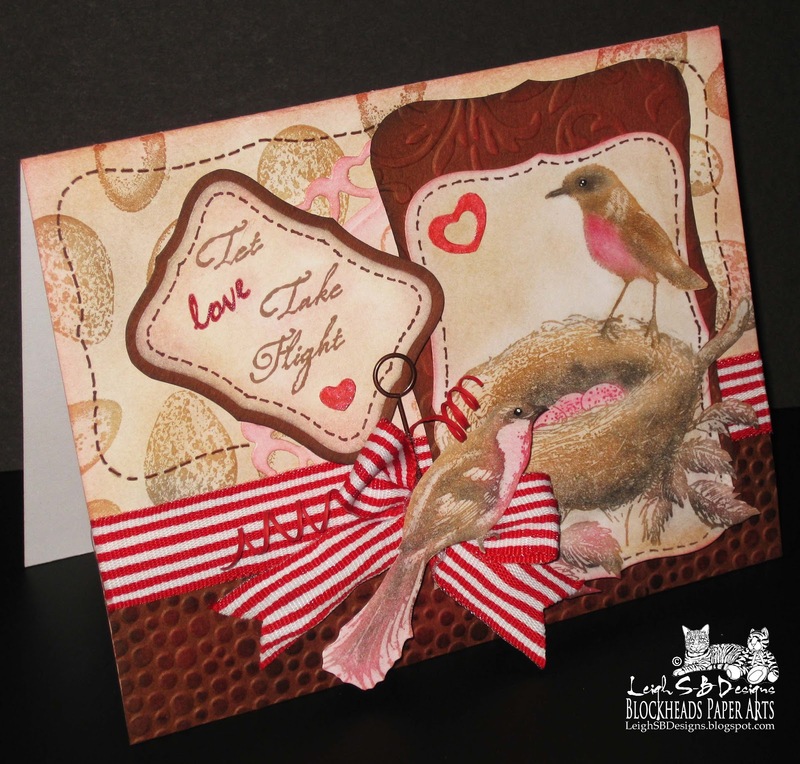 Leigh, this card is just stunning! 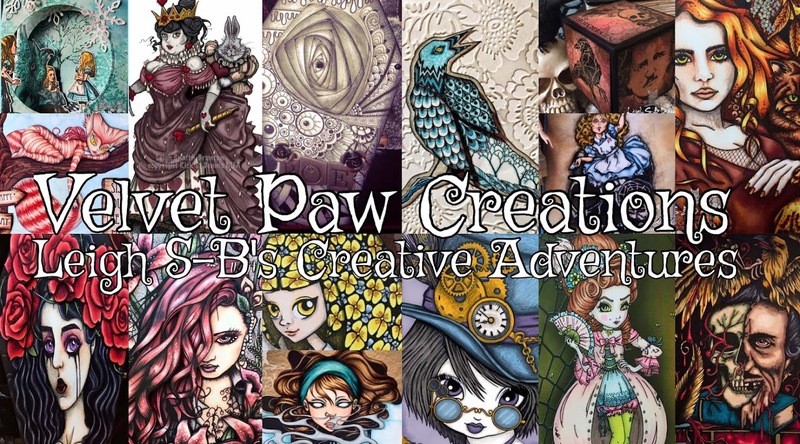 I love your tutorials - you are so clear and precise with each step! You are such an artist!! Your chalk colouring is superb!